The Denver Broncos United Club describes the most expensive tickets available anywhere in Sports Authority Field at Mile High. The Sports Authority Field at Mile High seating chart shows the Broncos United Club on the 300 level between the goal lines. Denver Broncos United Club seats are split into four different sub-sections based on location relative to the 50-yard line. The best seats are in the Broncos United Club Red Zone in the five sections closest to midfield on both sides of the field. The United Club Red Zone includes section 335, section 336, section 337, section 338, and section 339 on the east sideline and section 307, section 308, section 309, section 310, section 311 on the west sideline. The United Club Grey Zone includes eight total sections. Section 333, section 334, section 340, and section 341 are on the east sideline while section 305, section 306, section 312, and section 313 on the west sideline. Eight additional sections are part of the United Club Orange Zone with section 331, section 332, section 342, and section 343 on the east sideline and section 303, section 304, section 314, and section 315 on the west sideline. The remaining six sections are part of the United Club Purple Zone. Section 344, section 345, and section 346 are on the east sideline with section 300, section 301, and section 302 on the west sideline. Unite Club ticket holders receive access to the exclusive club level and a list of other amenities including deluxe food and beverage options, padded seats, club-level lounges, premium seat entrances, VIP parking, and access to the club three hours before the game and one hour after the game. Broncos United Club tickets are primarily sold as full-season ticket packages of two preseason games and eight regular season games. Any seats remaining following the conclusion of season ticket sales are sold as single game tickets. 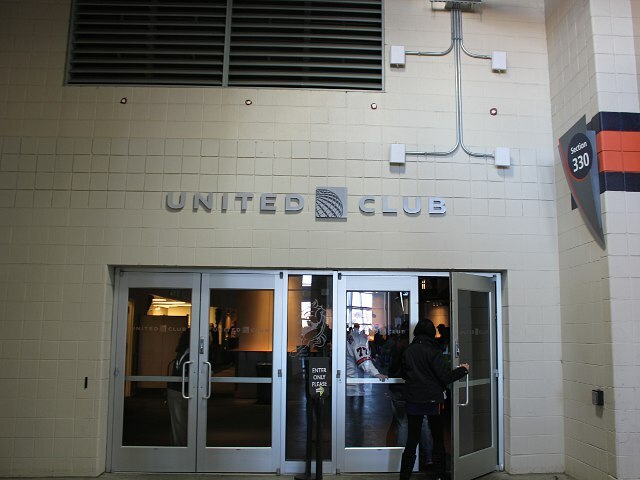 The cost of United Club tickets changes based on the current Denver Broncos United Club ticket prices with different prices charged for each color subsection.